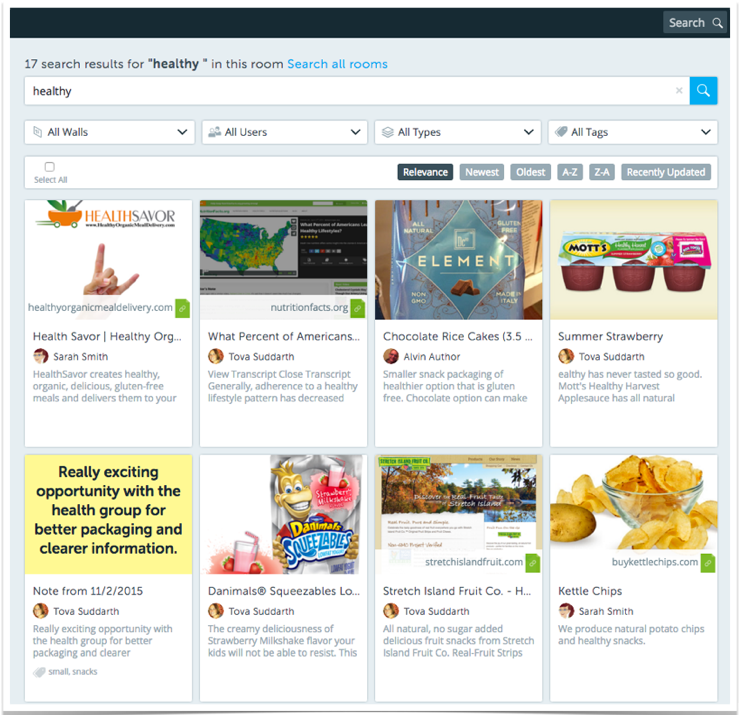 Use your search results to create a card or add assets to a room or wall - here are a couple tips on easy ways to use your results. 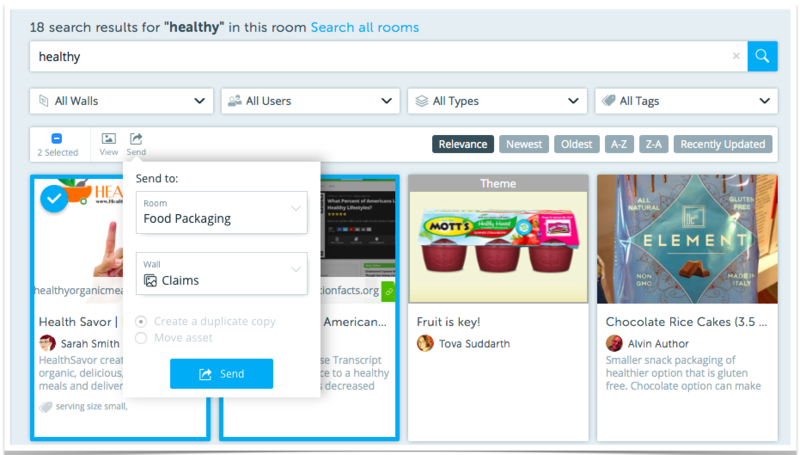 Search your room by keyword or tags and filter as needed. 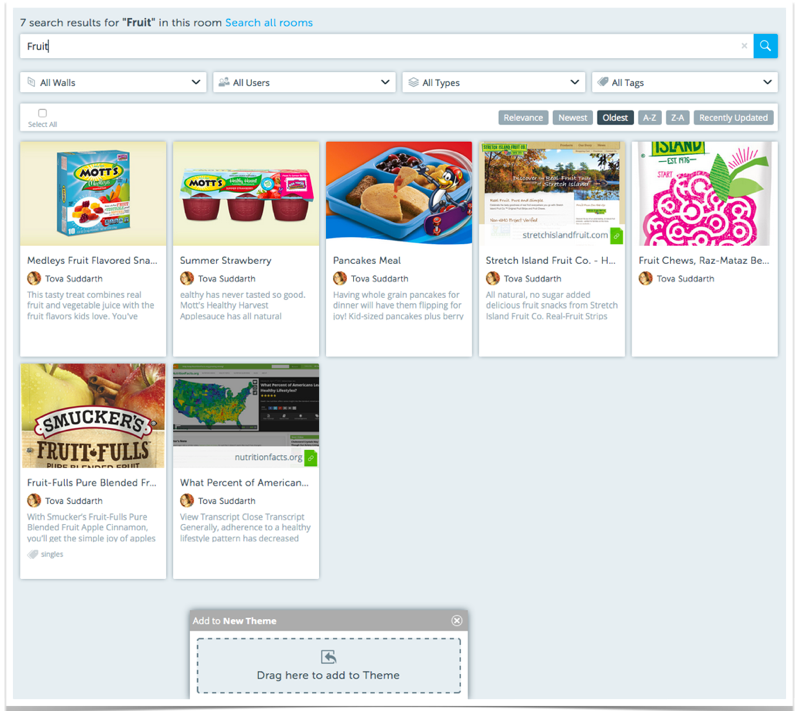 Select one or multiple items and then click "Send"
Choose the appropriate Room and Wall, then click "Send"
Ready to start a new Theme (card) on a wall? Click the "+" and "New Theme"
Title your Theme to get started. Click the + on the left side for "Add a new block" options and select "Import Asset". 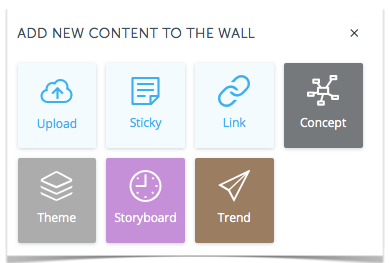 The content composer will pop up at the bottom of the wall. This composer allows you to navigate between walls and rooms then drag the appropriate assets into the Theme (custom content type). Do you have assets on different walls you want to use? 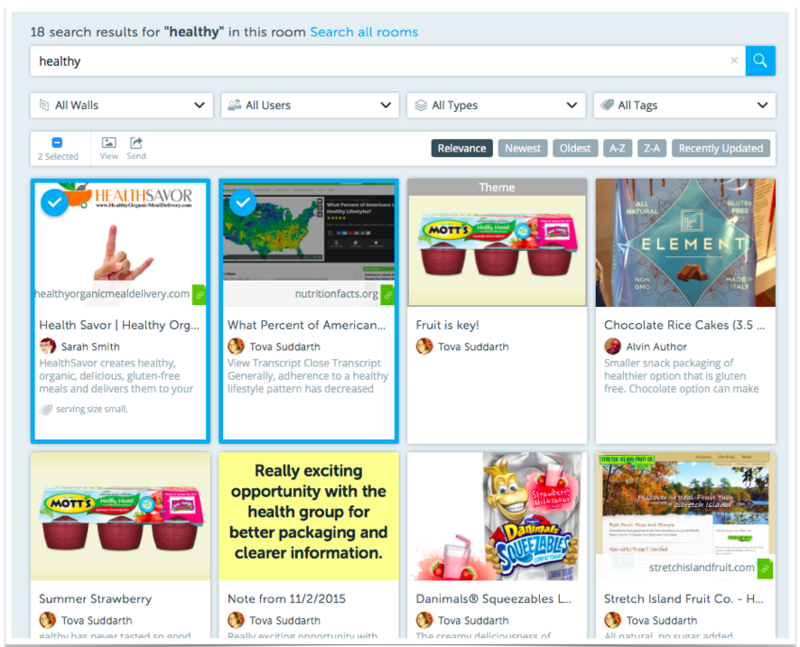 Enter the keyword into the search box to obtain the search results to find the assets. Not sure where you want to start your search? You can view all room assets by clicking the "All assets" button at the top left on the wall or click the magnifying glass in the search box. 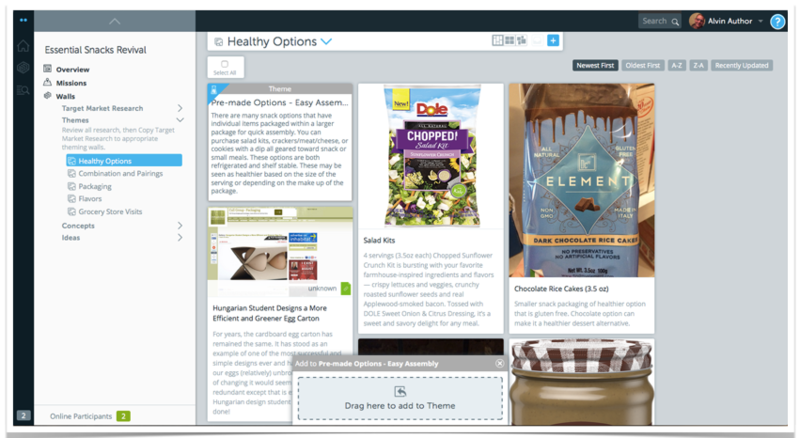 Search and filter the assets to help create your Theme. 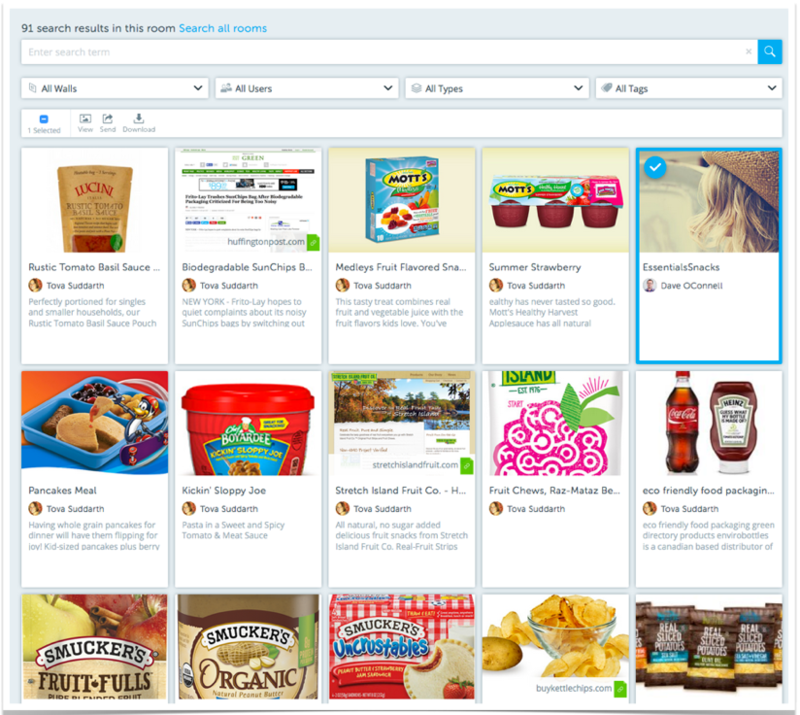 Select one or multiple assets from the search results, then drag and drop into the composer to create your Theme. Need a little more direction? Watch the short video below!